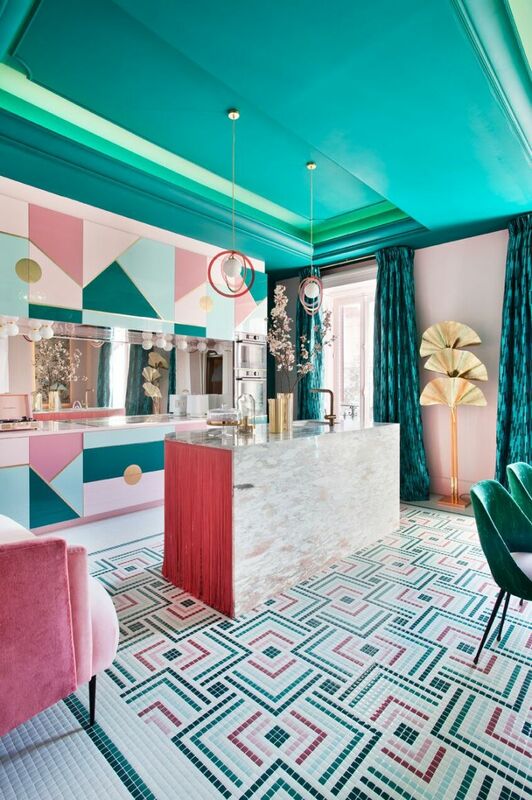 Messy Nessy Chic directs our attention to the annual Madrid design expo Casa Décor with the fantastic future “childhood revival” aesthetic of interior designer Patricia Bustos de la Torre. Not only is the style informed by the hues of Millennial pink and turquoise to question why we tend to lose our sense of awe for what the future has in store but also reflects an inflection of Ettore Sottsass’ Memphis Group. The suite of Bustos’ instalation (among scores of entrants) includes a kitchen and a dressing room. More to explore at the links above.